So, my attempt to include new tracks as well as old this year, continues with Glasgow’s The Raptors. 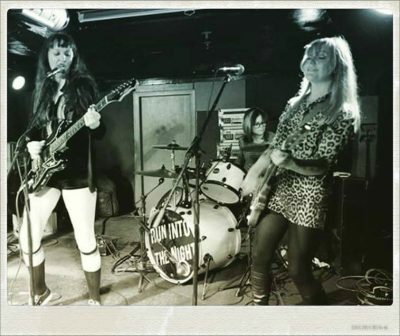 Formed earlier this year, the band include the Ramones, the New York Dolls, and the Runaways among their influences. They released their debut single ‘Death Becomes Her’/’Teen Witch’ in August and promise a new double single in the new year. The band are Becca (guitar and vocals), Jane (guitar and vocals), Jack (drums and howls (sic)) and Juana (bass and vocals).